Show or hide content in campaigns based on customer behavior. To better tailor your campaigns to your customers, you can create dynamic blocks that show or hide within a campaign based on your customers' fulfillment of a behavior. 3. In your campaign, drag in a dynamic grid. 5. Select the 'Events' feed. 6. Select the behavior you just created in the 'Source' dropdown. 7. Toggle the 'Required' slider to be off. 8. 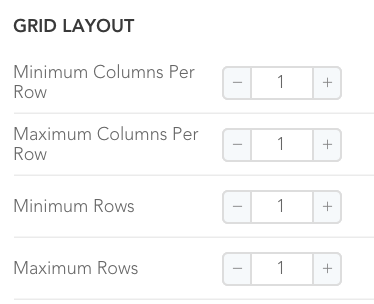 Change the grid settings to 1 column and 1 row if you only need 1 block, instead of a grid. 9. Now create the content inside the dynamic grid you want to show a user who has never made a purchase. 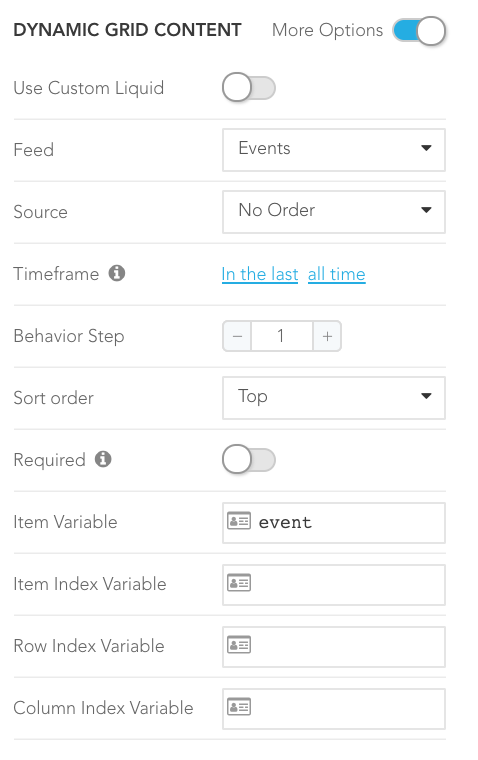 Once these steps are complete, your campaign will send out to everyone in the segment you've selected, but this dynamic grid will show or hide based on whether the customer has purchased in the past.